I extracted this information from Mark Etheridge of Moto Guzzi Classics off of the old Topica Loopframe_Guzzi news group (which has now moved to Yahoo!). This is the gasket that fits between the headlight securing trim and the headlight itself. 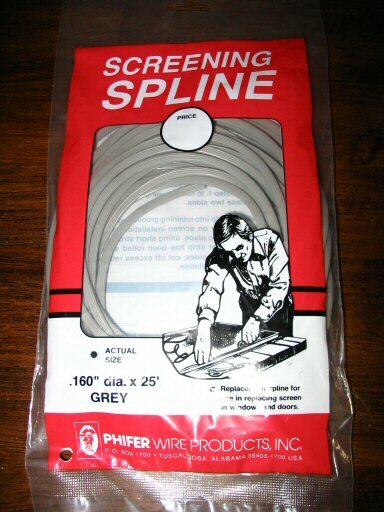 Just run down to your local hardware store and purchase a length of screen-door/screen-window vinyl spline. This is the piece that holds the screen in the sash's channel. Cut to length and you're done. Charles Hamer informed me that the 0.19 inch diameter screening spline works better than the 0.16 inch diameter spline I have pictured. The perfect stuff for replacing your headlight gasket.